The Purdue Boilermakers basketball team is a college basketball program that competes in NCAA Division I and is a member of the Big Ten Conference. Purdue basketball has the most Big Ten Championships with 24. The Boilermakers have reached two NCAA Tournament Final Fours. The 1931–32 team was retroactively named the national champion by the Helms Athletic Foundation and the Premo-Porretta Power Poll. Purdue has sent more than 30 players to the NBA, including two overall No. 1 picks in the NBA draft. Purdue shares a traditional rivalry with in-state foe Indiana University, and leads the all times series 120–89 over them. The history of Purdue basketball dates back to 1896 with their first game against the Lafayette YMCA. In the 1902–03 season, head coach C.I. Freeman, in his only season, led them to an undefeated 8–0 record. Upon conclusion of the season, the university recognized the popularity of the sport and made it part of the Purdue University Athletic Association. The Boilermakers began play in the Big Ten Conference three years later, with its first championship coming in 1911 under the direction of Ralph Jones. In 1917, Ward "Piggy" Lambert, a former basketball player at Wabash College, was named head coach of the Boilermakers. What followed was one of the most dominant eras of Purdue Basketball on the conference and national level. Under Lambert, Purdue became a front-runner in the development of the fast-paced game as it is today. In 28 seasons, Lambert mentored 16 All-Americans and 31 First Team All-Big Ten selections, which included the 1932 National Player of the Year John Wooden. Wooden was the first college player to be named a Consensus All-American three times. Lambert compiled a career record of 371–152, a .709 winning percentage. His 228 wins in Big Ten play have been bested by only Indiana's Bob Knight and former Purdue head coach Gene Keady. Lambert won an unprecedented 11 Big Ten Championships, which Bobby Knight later tied for most in conference history. In 1943, the Helms Athletic Foundation retroactively recognized Purdue as its national champion for 1932. The Premo-Porretta Power Poll later recognized the Boilermakers as the 1932 national champion as well. Ward Lambert announced his resignation on January 23, 1946. That same year and the year following, under new head coach Mel Taube, Purdue would win both meetings against coach John Wooden's Indiana State team. On February 24, 1947, three students were killed (one of whom died the next day) and 166 people were taken to hospitals after the 3,400-student section of the Purdue Fieldhouse collapsed during a game against Wisconsin. Center Paul Hoffman became the only Boiler to be named a First Team-All Big Ten selection four times in 1947. With third overall-picked teammate Ed "Bulbs" Ehlers (who played for John Wooden at South Bend Central High School), the two were the first players in the program's history to be selected in the NBA draft, while Paul Hoffman became the BAA's (original title of the NBA) first player named Rookie of the Year in 1948. After Mel Taube's four-and-a-half seasons, Ray Eddy, a former player and teammate of Wooden's under Lambert, took over as head coach. During his 15-year tenure, he coached Terry Dischinger and Dave Schellhase, both Consensus All-Americans, and Ernie Hall, the first Purdue junior college transfer and African-American player to wear a Boilermaker uniform. In 1955, his team played one of the longest games in college basketball history, lasting six overtimes in a loss to Minnesota. Over the next few decades the Boilermakers would enjoy moderate success, culminating in 1969 when they won their first conference title in 29 years and advanced to the 1969 NCAA Finals game under head coach George King and led by All-American Rick Mount, where they would fall to former Purdue great, John Wooden, and his UCLA Bruins squad. Former Los Angeles Lakers coach/general manager, Fred Schaus, who also spent time as West Virginia's head coach, took over the program after George King stepped down to become solely the school's athletic director. Schaus led the Boilermakers to the 1974 NIT Championship, becoming the first Big Ten team to capture the NIT title. In the 1978–79 season, new head coach Lee Rose introduced Purdue basketball to a new approach with a slowed-down, controlled style of play. With All-American center Joe Barry Carroll, he led them to the 1979 NIT Finals and to a 1980 NCAA Final Four appearance. In 1980, Gene Keady, the head coach of Western Kentucky and former assistant to Eddie Sutton with the Arkansas Razorbacks, was named the new head coach of the Boilermakers. Over the next 25 years, Keady led the Boilermakers to six Big Ten Championships and 17 NCAA Tournament appearances with two Elite Eights. Purdue received their highest Associated Press and Coaches Poll ranking in its program's history during the 1987–88 season, where they were ranked as high as 2nd in the nation. In 1991, Keady and assistant coach Frank Kendrick recruited Glenn Robinson, who ultimately became an All-American and Purdue's second-named National Player of the Year. A few years later, Purdue managed to recruit the program's first of many foreign players when they picked up Matt ten Dam from the Netherlands. In December 1997, Keady became Purdue's all-time winningest head coach, surpassing Lambert with his 372nd win. He also became the second-winningest coach in Big Ten history behind Indiana's Bobby Knight, against whom Keady went 21–20 in head-to-head meetings. Soon afterward, the playing surface at Mackey Arena was named Keady Court in his honor. Many of Keady's former assistant coaches and players throughout the years have gone on to enjoy success as head coaches. Included in the Gene Keady coaching tree is current Purdue head coach Matt Painter, former St. John's head coach Steve Lavin, Pittsburgh head coach Kevin Stallings, Kansas State head coach Bruce Weber, Wisconsin-Green Bay head coach Linc Darner, UNC Charlotte head coach Alan Major, Missouri head coach Cuonzo Martin, Missouri State head coach Paul Lusk and Illinois State head coach Dan Muller. 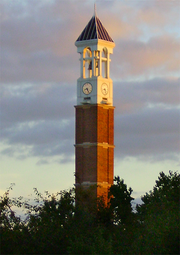 Following the 1998–99 season, the NCAA placed Purdue on two years' probation due to minor violations over recruiting, benefits, and ethics. Purdue also lost one scholarship per season for the 2000–01 and 2001–02 seasons. Most severely, Purdue assistant Frank Kendrick was found to have provided an illegal benefit to Purdue player Luther Clay, who transferred to Rhode Island after his freshman year, namely a $4,000 bank loan. Clay was found to be ineligible due to his extra benefit, so Purdue forfeited all 19 victories in which Clay played, including one win in the 1996 NCAA Tournament. As the Keady era came to a close in 2005, the Matt Painter era began. Painter played for Keady during the early 90's, with Keady naming him captain in his senior year in 1993. After one season at Southern Illinois as the head coach after Bruce Weber left north for Illinois, Painter was hired as a planned replacement for Coach Keady for the 2004–05 season as Keady's associate head coach. After a disappointing first season marred with injuries and suspensions from off-court altercations, Painter re-energized Purdue basketball in the summer of 2006 by signing the top recruiting class in the conference and made one of the biggest turnarounds in the program's history. His "Baby Boilers" developed into three eventual All-Americans, including 2011 consensus selection JaJuan Johnson, that led Purdue to four consecutive NCAA Tournaments and back-to-back Sweet Sixteen appearances, a Big Ten title, and a conference tournament championship. During the 2010 season, Matt Painter led the Boilermakers to a school record-tying 14–0 start, as well with the most wins in a season with a 29–6 record and a Big Ten title. The season ended in relative disappointment, however, as Junior Robbie Hummel was sidelined with an ACL injury in February of that season. The following year, and with the anticipated return of Hummel, E'Twaun Moore, and Johnson, Purdue looked poised to have one of its program's finest seasons. This excitement was quickly tempered when Hummel re-tore his ACL on the first practice of the season, sidelining him for its duration once again. Despite Hummel's absence, Purdue remained in the top ten most of the season, being ranked as high as 6th and finished the regular season with a 26–8 record. At the conclusion of the 2010–2011 season, Johnson and Moore declared for the NBA Draft. On June 23, 2011, both Johnson and Moore were drafted to the Boston Celtics in the first and second rounds, respectively. Purdue began the 2012 season with a 12–3 record, holding the fifth best home winning streak in the nation with 27, before leading the nation with the fewest turnover average per game. The home winning streak was lost during the 2012 season to Alabama. They finished with a 10–8 conference record, giving Purdue its sixth consecutive 22+ win season, the best in the program's history. In the 2012 NBA draft, Robbie Hummel was the 58th overall pick by the Minnesota Timberwolves. The following two seasons brought slim success, missing out on both the NCAA Tournament and the NIT. They accepted a bid in the 2013 CBI, where they lost in the second round to Santa Clara. After a moderate 8–5 preseason campaign during the 2015 season, Purdue got back on track, finishing 3rd in the conference after finishing last the season prior. The 2015 season ended after losing to Cincinnati in overtime. It was the first time the program lost its opener in the NCAA Tournament since 1993, breaking a 14-game win streak. After making it back to the NCAA tourny, the program landed its biggest recruit in nearly a quarter century when Fort Wayne native Caleb Swanigan, a top ten recruit, de-committed from Michigan State. They opened the 2016 season with an 11–0 record, while setting a program record with consecutive double-digit victories and were ranked as high as 9th in the nation. That season ended with an NCAA First Round loss to Little Rock with a 26–9 record. In May 2016, it was announced that the 2017–18 Purdue team would represent the U.S. at the 2017 World University Games in Taipei. The team would go on to win the Silver Medal at the Games, winning every game until losing to Lithuania in the Gold Medal game. Purdue won the outright 2017 Big Ten Conference title, along with Caleb Swanigan being named unanimous B1G Player of the Year. In the 2017 NCAA Tournament, Purdue reached the Sweet Sixteen, losing to #1 seed Kansas. In the 2017-2018 season, Purdue, led by seniors Vince Edwards, Isaac Haas, PJ Thompson, Dakota Mathias and sophomore Carsen Edwards, spent several weeks at #3 while being on a program record and nation-leading 19-game winning streak. During that time, the Boilers led the nation in scoring margin, points per game, three-point shooting, and was one of only two teams with a top 3 ranking in both offensive and defensive efficiency. Purdue missed out on a consecutive B1G title after losing to Wisconsin, finishing 2nd in the conference at 15-3. The Boilers were seeded 4th in the Big Ten Tournament, where they beat Rutgers and Penn State to reach the Big Ten Tournament Championship for the second time in three years. They faced a familiar opponent in Michigan, whom they had already faced two other times throughout that season, Purdue winning both meetings. However, Michigan beat Purdue 75-66 to become Big Ten Tournament Champions for the second straight season. Purdue was seeded 2nd in the East Region of the 2018 NCAA Division I Men's Basketball Tournament, their highest seed in recent history. In the first round, they faced Cal State Fullerton Titans, winning 74-48. However, many Purdue fan's hearts broke in the second half of the game, as senior Center Isaac Haas fell on his elbow as he fought for a rebound, and broke his elbow as he hit the ground, ending his Purdue Basketball career. Purdue's second round game was against Butler Bulldogs, whom Purdue had already played earlier in the season. The Boilers would win the game on a last second shot by Dakota Mathias, winning 76-73 to advance to the Sweet Sixteen for the second straight season. In the Sweet Sixteen, Purdue faced the third seeded Texas Tech Red Raiders. The Boilers would go on to lose in disappointing fashion 65-78, ending their season with 30 wins, the most wins in program history. In 2019, Purdue was seeded 3rd in the South Region of the 2019 NCAA Division I Men's Basketball Tournament, after another strong season. In the first round, they destroyed a 26-8 Old Dominion team that was coming off a Conference USA championship, winning 61-48. In the second round, they handedly defeated #6 seed Villanova, sending the defending champs home early after an 87-61 victory, and advancing to their third straight Sweet Sixteen under Matt Painter. The Boilermakers ran into to their first real test with the #2 Tennessee Volunteers. After a back and forth contest that included 17 lead changes and needed overtime to be decided, Purdue came out victorious, beating the Vols 99-94 to reach their first Elite Eight in nearly 20 years. In the Elite Eight, Purdue faced the #1 seeded Virginia Cavaliers in what would be another back and forth thriller. After several lead changes throughout the game, Purdue led 70-67 with 5.9 seconds left and looked to be headed to their first Final Four since 1980 when Virginia's Ty Jerome missed the second free throw of two. Virginia was able to come up with the offensive rebound however, and after chasing down the loose ball, Mamadi Diakite nailed a Hail Mary - type jumpshot at the buzzer to send the game to overtime. The Boilers were once again looking towards the big dance, leading 75-74 with 43 seconds to go, but Virginia was able to hold Purdue scoreless over the final minute and prevailed 80-75, ending the Boilermakers season with 26 wins and their first Elite Eight appearance since 2000. For the entire season-by-season results, see List of Purdue Boilermakers men's basketball seasons. *Purdue forfeited 18 regular season wins (6 conference wins) and vacated 1 NCAA Tournament win and 1 NCAA Tournament loss due to use of an ineligible player for during the 1995–96 season. The Boilermakers have appeared in the NCAA Tournament 31 times. Their combined record is 42–31; due to use of an ineligible player, Purdue vacated one win and one loss from the 1996 NCAA Tournament, resulting in an adjusted official NCAA Tournament record of 41–30. *Purdue vacated one win and one loss from the 1996 NCAA Tournament due to use of an ineligible player, resulting in an adjusted official NCAA Tournament record of 41–30. The Boilermakers have appeared in the National Invitation Tournament (NIT) eight times. Their combined record is 20–7. They were NIT champions in 1974. The Boilermakers have appeared in the College Basketball Invitational (CBI) one time. Their record is 1–1. The Boilermakers appeared in one of the only two ever National Commissioners Invitational Tournaments. Their record is 1–1. As of the completion of 2018–19 season. Purdue is one of just fourteen schools in the nation that has produced more than one No. 1 NBA Draft pick. ^ - During the 2017 World University Games, Purdue was selected to represent Team USA. ^ ESPN College Basketball Encyclopedia: The Complete History of the Men's Game. New York: ESPN Books. 2009. p. 542. ISBN 978-0-345-51392-2. ^ Bagnato, Andrew (July 1, 1999). "Purdue's Recruiting Violations Prove Costly". Chicago Tribune. Retrieved December 25, 2014. ^ "Dispute centers around 19 forfeited games in '95–96". ESPN.com. Associated Press. December 13, 2001. Retrieved December 25, 2014. ^ "Purdue To Represent USA in WUG in Taipei" (Press release). Purdue Boilermakers. May 31, 2016. Retrieved October 21, 2016. ^ "2015–16 NCAA Men's Basketball Record Book" (PDF). ncaa.org. p. 72. Retrieved 21 February 2016. ^ "Forfeits and Vacated Games". sports-reference.com. Retrieved 21 February 2016. ^ "John Wooden Chronology". NCAA. January 12, 2011. Retrieved March 20, 2017. ^ Thompson, Ken (November 29, 2017). "Mackey's Top 50: No. 4 Glenn Robinson". Journal & Courier. Retrieved March 20, 2018. ^ "NCAA College Basketball John R. Wooden Award Winners". Sports Reference. Retrieved March 20, 2018. ^ Purdue Sports. "Legends of Purdue Basketball". CBS Interactive. Retrieved March 20, 2018. ^ Purdue Sports (March 17, 2017). "Swanigan Named Basketball Times POY". CBS Interactive. Retrieved March 20, 2018. ^ "Rupp Trophy Winners". Sports Reference LLC. Retrieved March 20, 2017. ^ "TURNER NAMED PLAYER OF THE YEAR BY USBWA". Ohio State. Retrieved March 24, 2018. ^ "2007 Recipient - Gene Keady". Wooden Award Player of the Year. Retrieved March 24, 2018. ^ "Keady Wins UPI Award". Journal and Courier. Lafayette, Indiana. March 27, 1996. p. 15 – via Newspapers.com. ^ "Purdue's Keady Honored by NABC". The Republic. Columbus, Indiana. Associated Press. April 4, 1994. p. 13 – via Newspapers.com. ^ "Keady Named National Coach of the Year". Journal and Courier. Lafayette, Indiana. April 2, 2000. p. 12 – via Newspapers.com. ^ "Johnson Receives Big Man Award". Journal and Courier. Lafayette, Indiana. April 3, 2011. p. 11 – via Newspapers.com. ^ Thompson, Ken (November 30, 2017). "Players who made an Impact: 15 to 1". Journal and Courier. Lafayette, Indiana. p. C7 – via Newspapers.com. ^ Pascoe, Bruce (April 7, 2018). "Arizona's Ayton Wins Karl Malone Award". Arizona Daily Star. Tucson, Arizona. p. B004 – via Newspapers.com. ^ "Boilermaker's Hummel Wins Senior CLASS Award". Palladium-Item. Richmond, Indiana. March 31, 2012. p. 11 – via Newspapers.com. ^ a b "Swanigan Completes an All-America Sweep". Journal and Courier. Lafayette, Indiana. March 29, 2017. p. C1 – via Newspapers.com. ^ "Purdue Men's Basketball Records". CSTV.com. 2004. Retrieved 2008-05-23. ^ "Purdue Basketball on Radio". Purdue Sports. Retrieved October 8, 2017.